I have a few major goals this year that pertain to showing, and they are pretty much all geared towards getting me and Murray in sync when we jump or dressage at a new place. This is our greatest shortcoming. If Murray is feeling good and confident, we’re fine! I can handle that. I can handle enthusiastically forward, I can handle bucking with feels, I can handle him being a little bit backed off or behind my leg. What I have so far failed to handle, especially in the context of a whole course, is when he is scared and getting a little shut down. That I am not so good at handling. I would also like to be able to show in one of the many venues California has to offer. I mean, we can run around XC at CEPF until the day we die, but that doesn’t mean we are going to have a successful run at a different show with different challenges. I’m interested in being able to handle all of those challenges. So with that in mind, here’s my proposed show schedule for this year. I color-coded by jumper, dressage, or event. October 9 — Pacific Equestrian Center Schooling Show Championships (unrated) — wtf they have coolers and neck ribbons! shut the front door! Shows in Italics are the ones that only might happen, so I have my sights set on fewer shows than are actually on this schedule. And there aren’t even any rated dressage shows (one of my goals… oops) that are more than “maybes”, but looking at the shows available to me it seemed like it might behoove me to show at a few unrated shows before trying to bust out my rated dressage show chops. But perhaps I can squeeze a rated show in there at the end of the year. 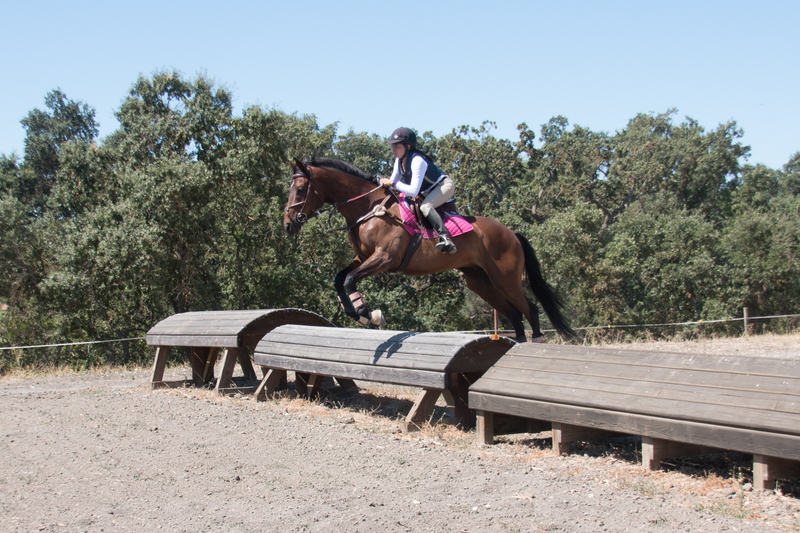 I would like to show at Camelot (April), because it’s awesome, I love it there, we school there all the time, and I need some redemption on that XC course. And Woodside (May) is, believe it or not, one of the cheaper places in California for me to show at, despite the astronomical costs of getting there and schooling there, because my parents live close enough nearby that I can void all hotel costs. In a perfect world I’d get a bit more time between Camelot and Woodside but I have some external travel plans that make that impossible… so if I’m going to show Woodside, it has to be in May. Woodside is going to be a challenging show environment for both of us, as it’s busy, has lots of people there, and neither of us has been there much. 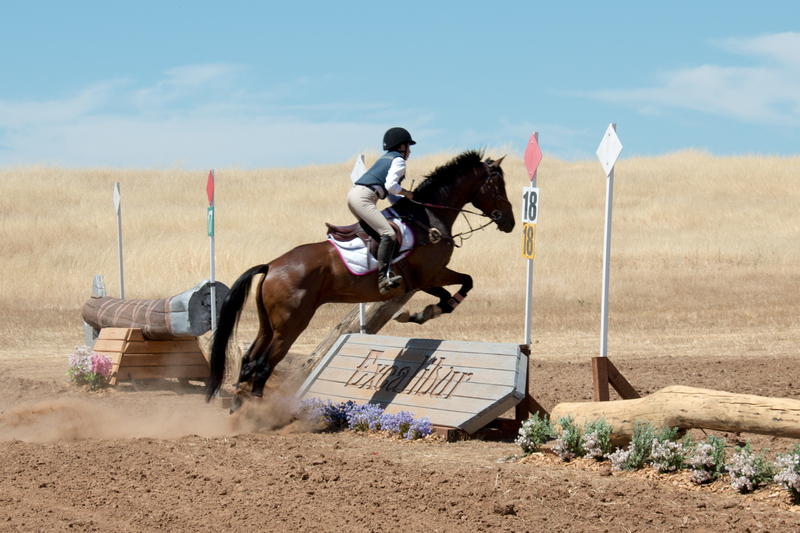 But it’s the good kind of challenge, and while their BN course is solid, it’s essentially the same as what we jumped (most of) at Camelot last year. To 2016! Onward and upward. I love the color coordination! I did that on my paper calendar last year 🙂 Looks like a solid schedule AND a lot of fun! I want an unrated show with coolers and neck ribbons. OMG!! I like the plan. Good luck!! It immediately made me go from one or two planned schooling dressage shows to 4 planned schooling dressage shows! IMMEDIATELY. This seems like a lot of shows to me. You’re going to have so much fun. Also, how do you find out about all of these events? From your trainer? I’d like to do more CT/HT, but I can only compete in unrated shows. Since I don’t have a trainer, I just browse around trying to find stuff. I spent a lot of time on the USEA omnibus (http://useventing.com/competitions/omnibus#VI) and the CDS scheduled events (https://www.california-dressage.org/html/calendar.htm), and then the Golden State Dressage omnibus (http://www.goldenstatedressage.com/). However, some of those shows I just know about from checking the facility websites (Camelot, Hiskens) and knowing their general pattern of when they tend to hold shows. I personally feel like there is really poor announcement/publication/general fanfare about the schooling shows that DO run in our area, and I wish it were easier to see what events are available! And yeah, it is a lot of shows. But I’m guessing that I won’t be able to make it to at least half of the italicised ones, which is why I put so many on there — options! I find dressage shows a lot easier to find since they tend to get listed with the various CDS orgs. USEA only lists rated things and I’m not allowed at rated shows. But non rated eventing shows are so hard to track down. Even when I check facilities that I know will have 2016 shows, they haven’t put up their dates yet. I put some of yours on my list. I’ll have to let you know if I end up going to any of your shows and I will certainly join you. excellent framework!!! you and Murray are gonna KILL IT this year, i can feel it! Shockingly NOT near the Pacific!!!! In Wilton area, near-ish Brookside. I love that you love that first photo 🙂 Oh and you should go to the November Fresno…..because maybe….just maybe broken pony will be able to go!! I love showing at Starr Vaughn!! !